We have recently received images of the six Marvel Super Heroes – Avengers: Infinity War sets to be released in March this year. You can see the official images below, as well as a bit of extra information. 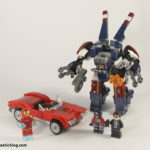 Thanks to Brick Heroes for the box images, but beware, there may be movie spoilers! 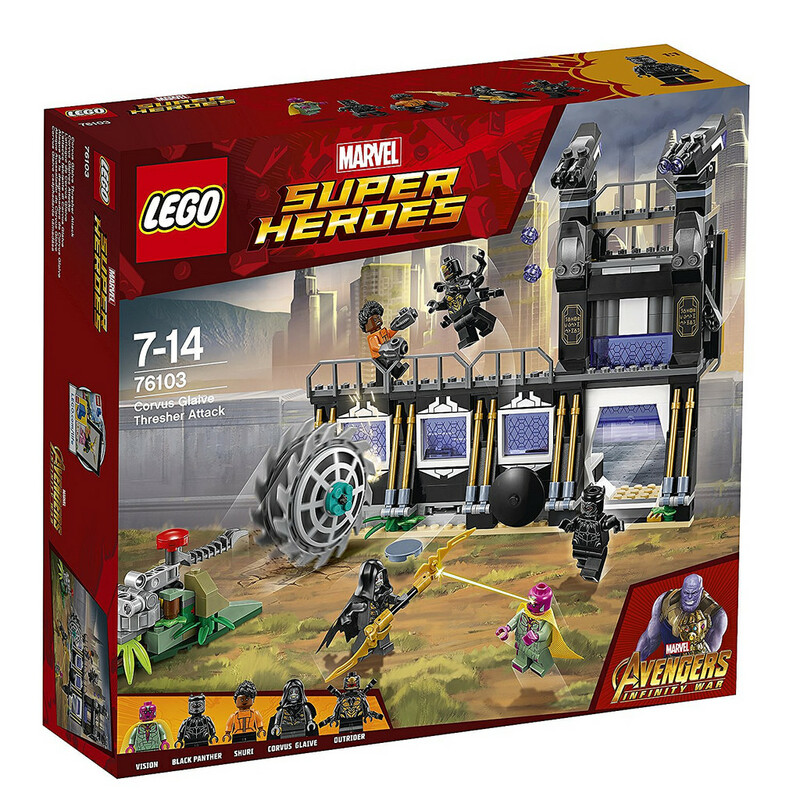 Costing US $14.99 and the smallest of the lot, this set contains the Outrider Dropship (obviously), Black Widow, and a bearded Captain America. This is an exciting one. For US $19.99, there’s a ship as well as a secondary structure for the main builds. The accessories include a variety of what look like ice swords, among other things, but the exciting part is the minifigures. 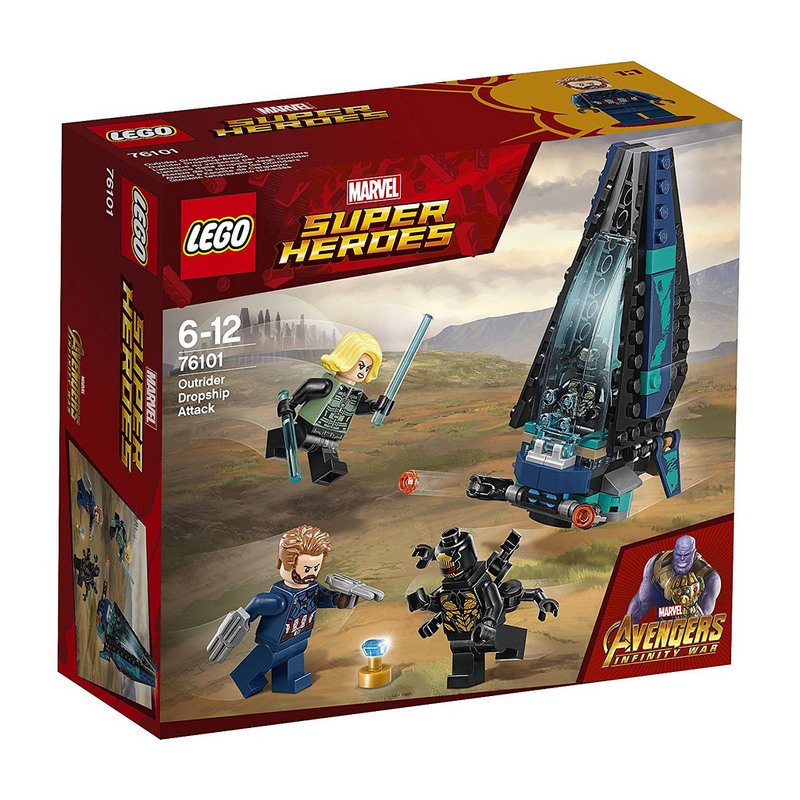 Thor and Rocket Raccoon, plus a minifigure sized Groot! We’ve not had one of these before. I think this set is going to be popular. The builds are starting to get a bit bigger! 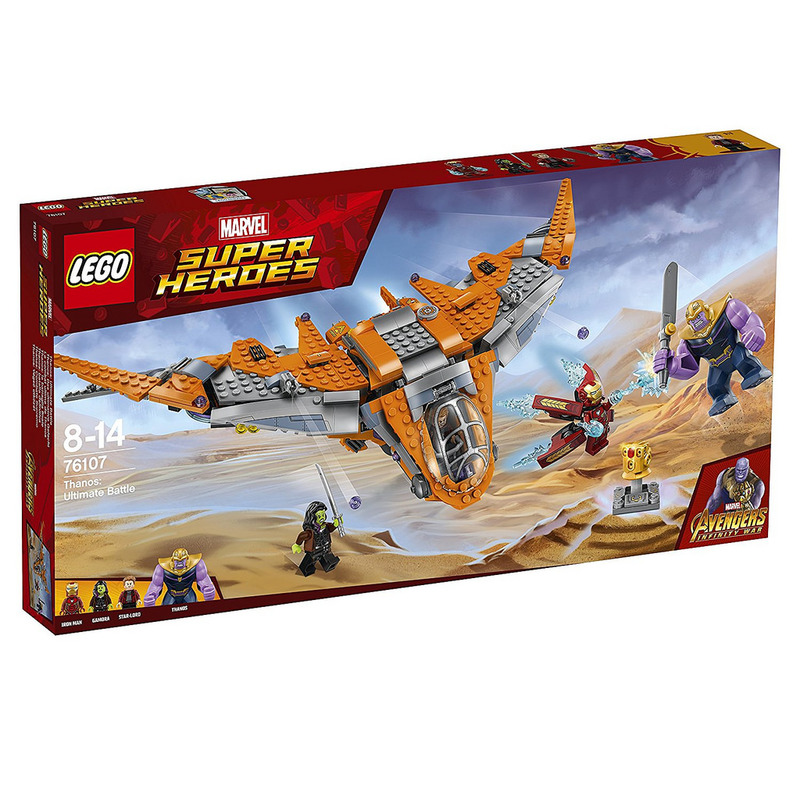 We’ve got an armoured wall and a very big blade with a flicking action, as well as five minifigures – Black Panther, Shuri, Vision, another Outrider and the bad guy himself – Corvus Glaive. There also appears to be some play features, with an openable gate. This one will set you back US $39.99. This one includes a large ball launcher and is priced at US $29.99. I’m not sure how long it’s been since we’ve seen one of these, but I reckon it’s been a while! There’s also a Hulkbuster suit, Bruce Banner, Falcon, Proxima Midnight, and yet another Outrider. I think this is a repainted Milano. 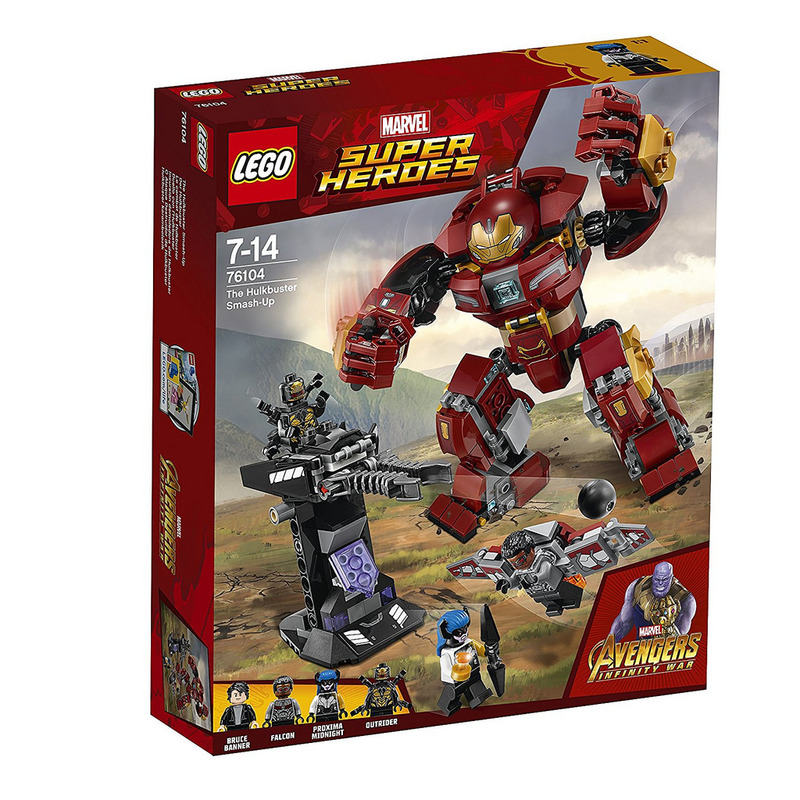 There’s also three minifigs and a new bigfig of Thanos, which looks really good. There’s also the Infinity Gauntlet, which is able to be worn by Thanos by swapping out the hand. We also get Iron Man in a full attack mode suit, Gamora and Star-Lord. All of this for US $69.99. Here it is – the last one, and the biggest one, costing US $99.99. 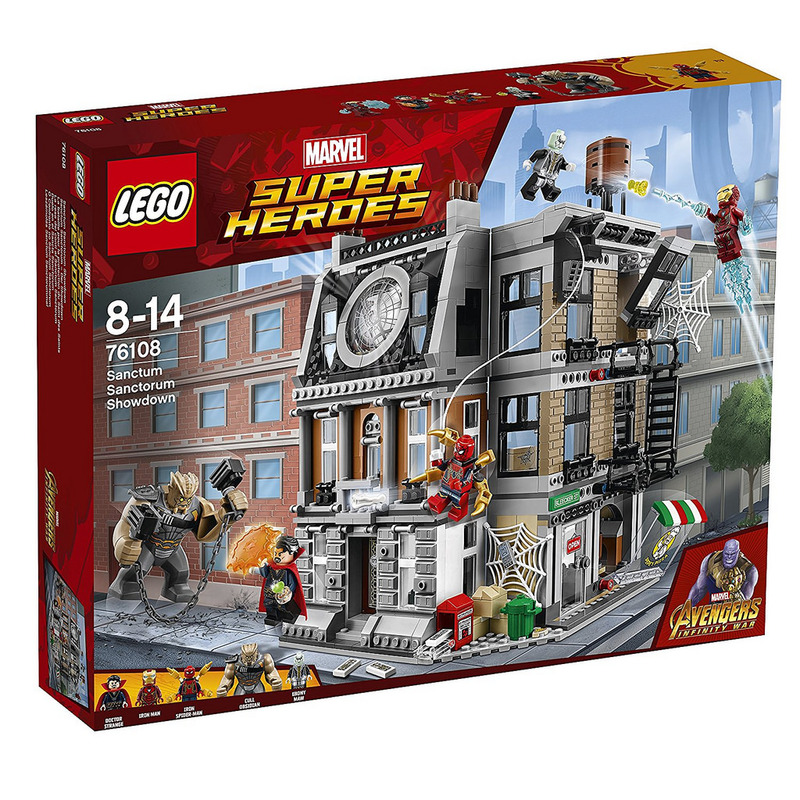 This will be a popular one too, with a great looking Sanctum Sanctorum, four minigifures and a bigfig of Cull Obsidian. 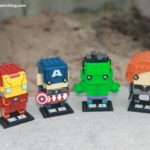 The minifigures include Doctor Strange, Iron Man, Iron Spider Man and Ebony Maw. Not only that, but there are weapons, effect pieces for Iron Man and Doctor Strange, and a stack of beautiful looking details on the building itself, including the iconic Sanctum Sanctorum window, which looks like it’s made with a printed transparent dish. There are also loads of play features in this set too, to help it come alive. This will be a good one, and I’ll be interested in seeing what MOCs come out of it. That’s it! What do you think? Are these some you’ll include in your shopping list in March? 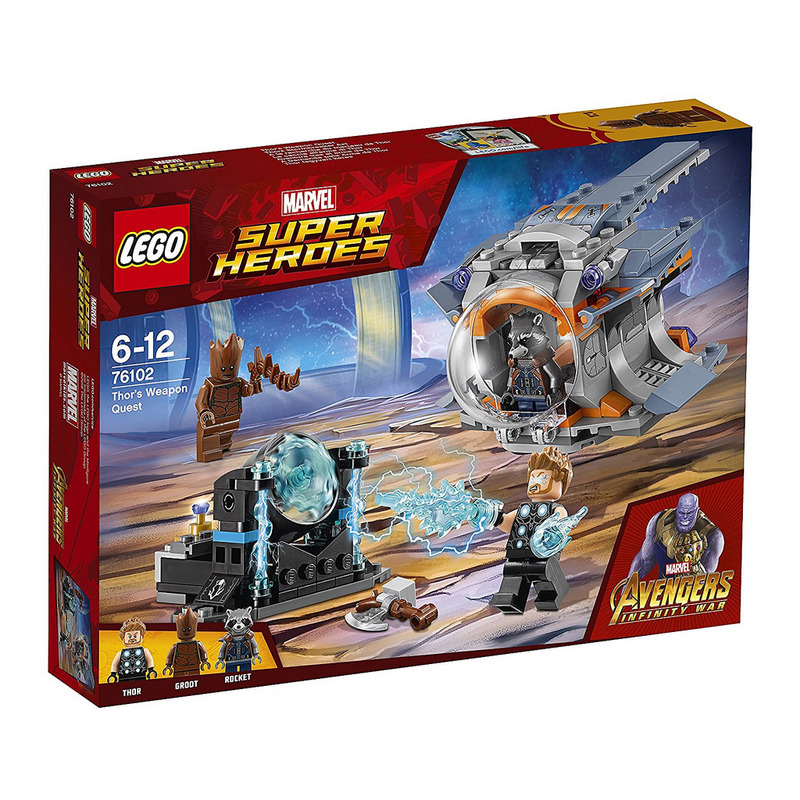 that was really cool stuff for kids from the marvel with infinity war set. Thank you for sharing the images of the same.